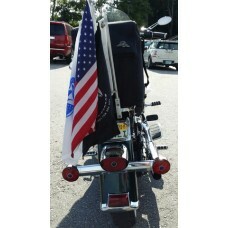 Flag Line Pole, Honor Guards, and Ceremonial Occasions are perfect for this fantastic pole, fits 3' .. 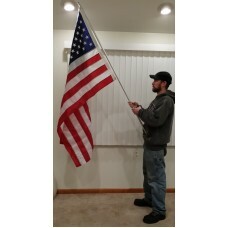 These are the poles we use in the Military Parade set so the US Flag is higher (14" for the Shorter ..
Our most common set up for boats from 14' to 65'. 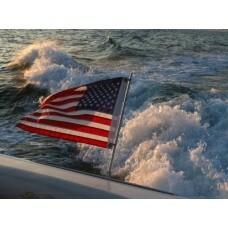 You can proudly fly your 12" x 18" flag, the pole .. This is the Pole ONLY. 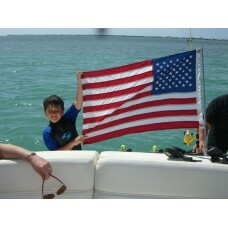 Our 23" pole can be ordered to fit 12", 14", 16" flags, (select your flag siz.. 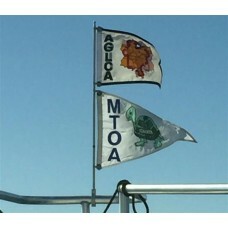 This pole can be used on the bigger boats to fly two 12" x 18" flags. Not recommended for fast boats.. This is for the Pole only. 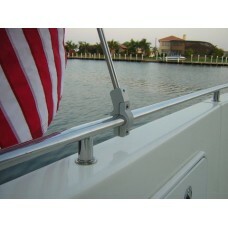 Our 31" pole is for the big boats, it can be ordered to fit a 20" x 30" f.. 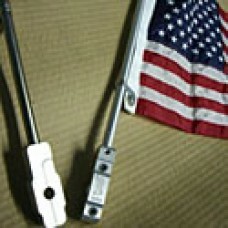 This isn't a plastic pole, it's solid 60/61 T-6 aluminum, anodized to withstand all the harsh elemen.. 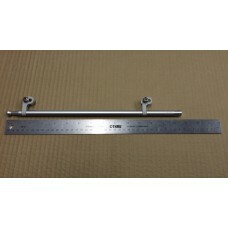 This pole is the same polished 316 Stainless steel material as the OS12 pole but is 5" shorter.. 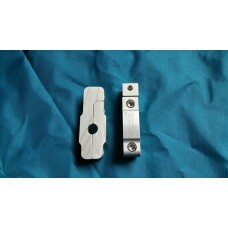 These poles are made to take a beating, we thread the bottom so it screws in to the stainless steel .. 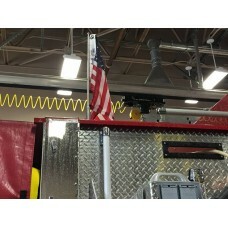 This pole is for square luggage racks, the pole comes out at a ten degree angle for the perfect look..
Our Military Parade set comes with three poles, clear or black anodized. Two poles are 14" and the c..